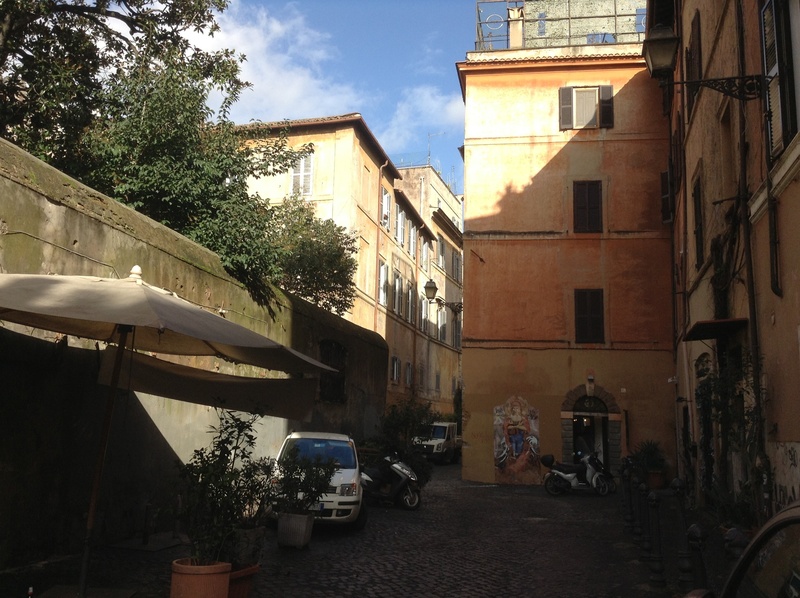 This morning I popped over to Trastevere, another neighborhood. Very pretty, with cobblestone streets and little shops, and pleasant despite being a bit touristy. 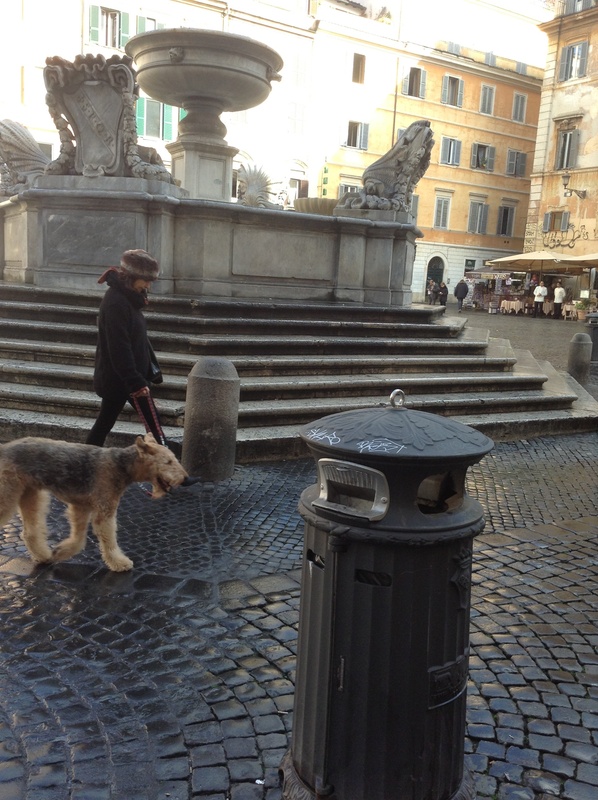 A friend was in Rome for the weekend, and we met for coffee, so I ambled around in the morning quiet first. Lovely sunny morning. 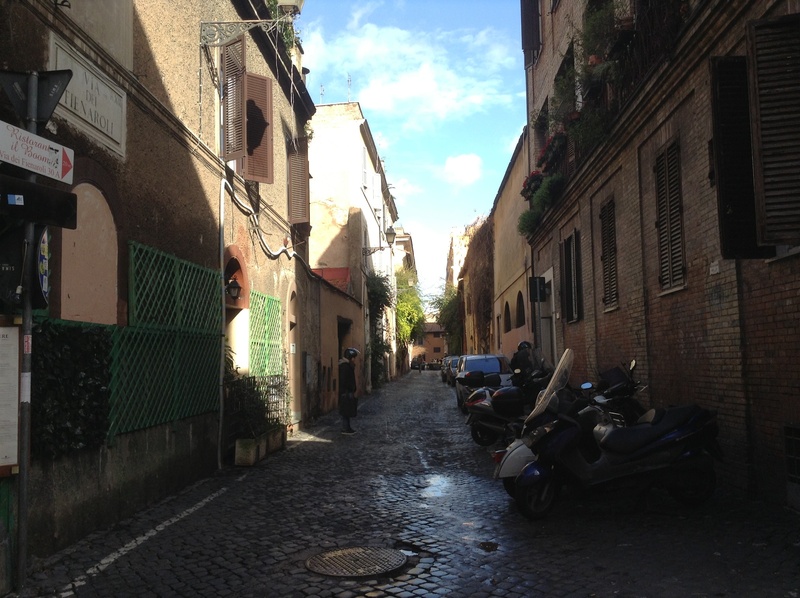 Walking through quiet side streets, still wet from the rain. 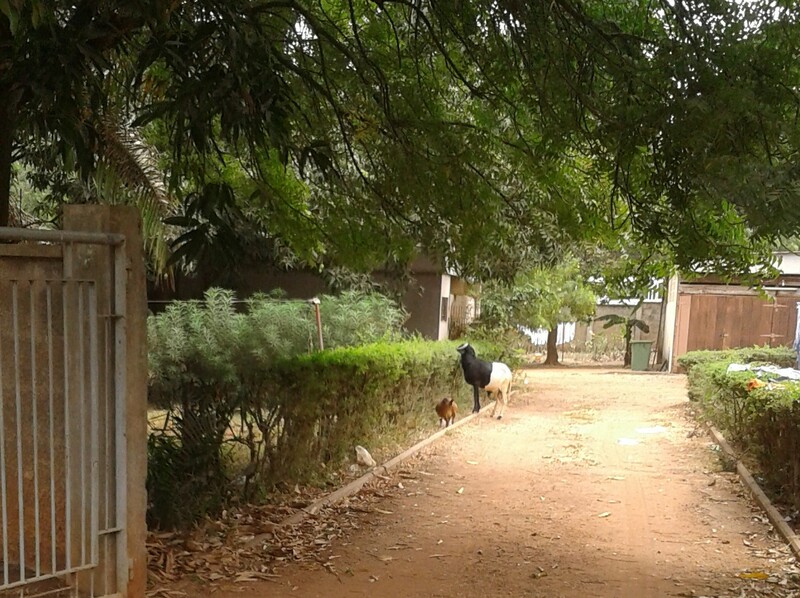 ….. 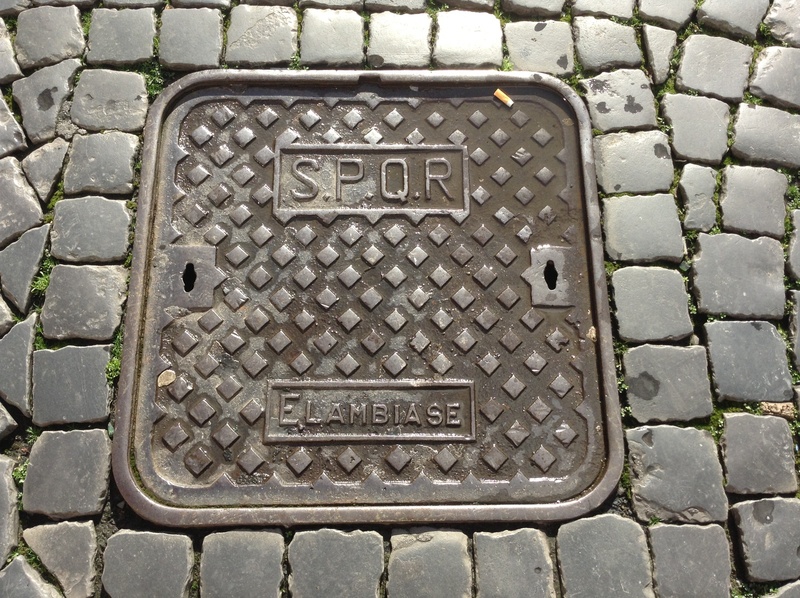 Though you do see SPQR on the water manholes all over town. 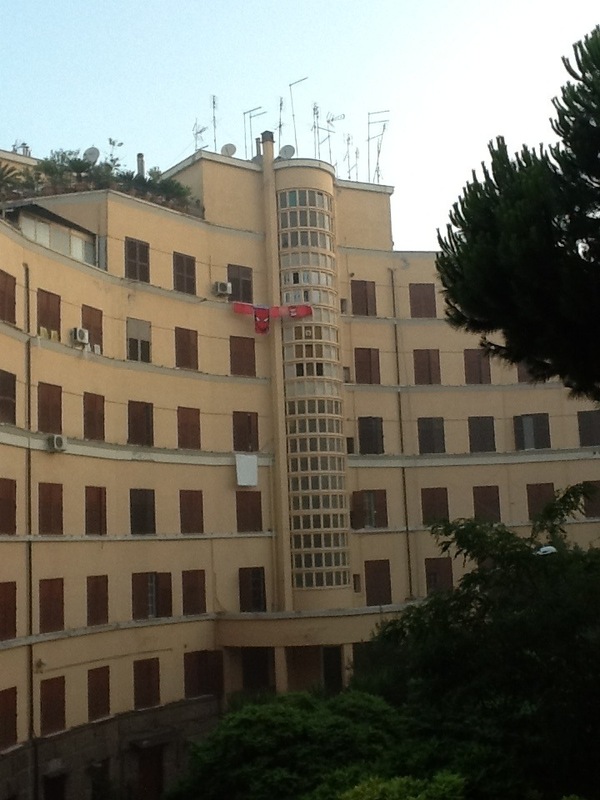 Meeting outside the church of Santa Maria in Trastevere is usually a safe bet, but it turned out I was meant to be outside San Francesco, just down the road, so I just made it, dashing down the street with church bells pealing from both sides. 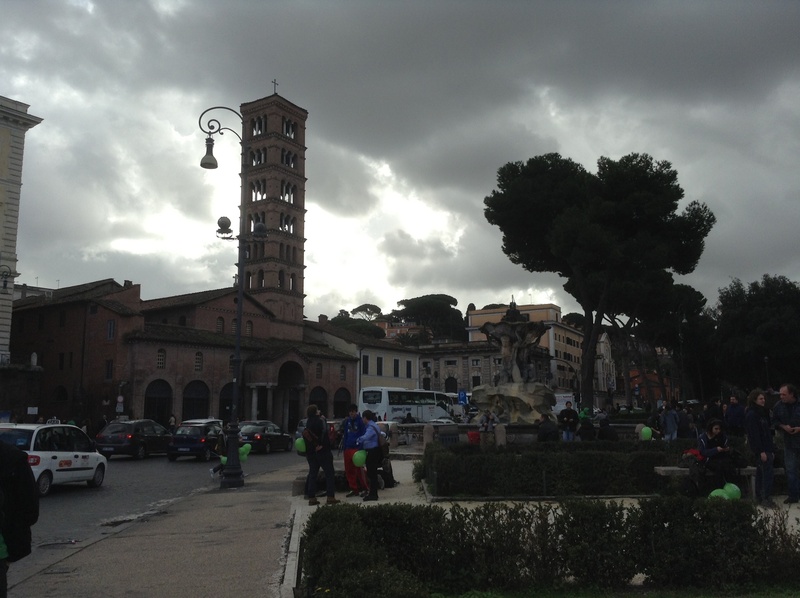 The bell tower is Santa Maria in Cosmedin, and as you can see, the rain was rolling in again. I hopped on my bus and was soon home, but it was really nice to have had those sunny morning hours ambling past such beautiful sights. Hope you are all having a lovely weekend too! 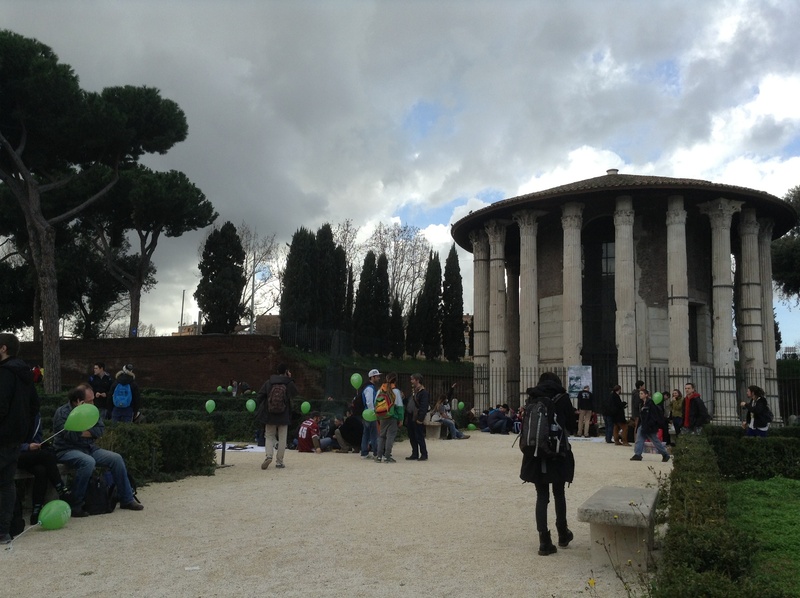 This entry was posted in Italy, Rome, travel and tagged streetlife on February 8, 2014 by krumkaker.